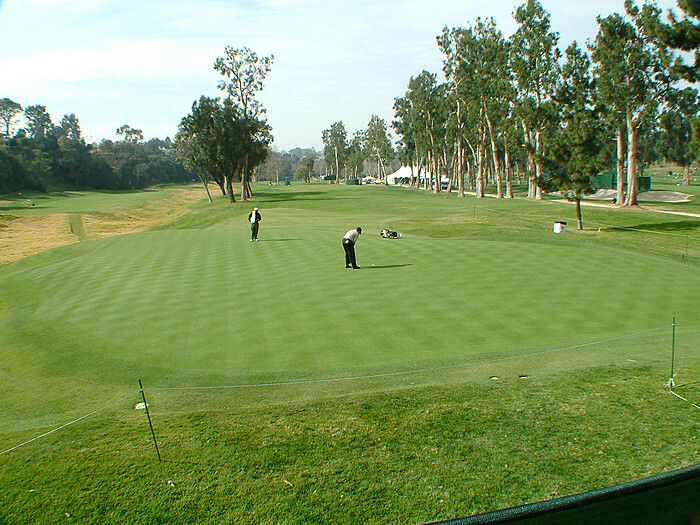 8th hole picture from Riviera Country Club and the Los Angeles Nissan Open golf tournament. Click Here to see this selection of pictures in our new 2011 Slide Show of Riviera C.C. *Click Here back to the Riviera CC virtual tour thumbnails for more full sized digital pictures of the Riviera Country Club and the Northern Trust Los Angeles Open golf tournament! New in 2011: Golf and Travel is the place to go on CaddyBytes for golf courses travel to info places to stay and play!